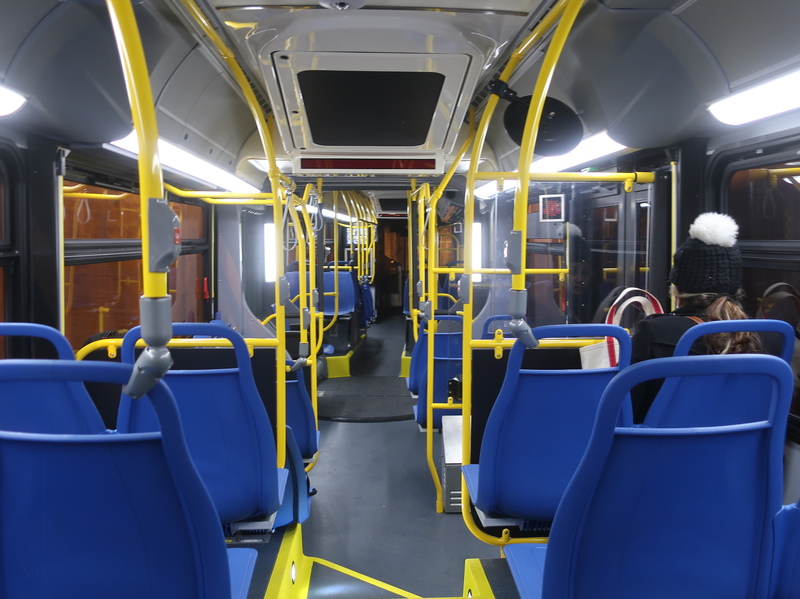 New Battery-Electric Buses on the Silver Line! Hot off the heels of new Green Line trains, the Silver Line has begun phasing in a new addition to its fleet. 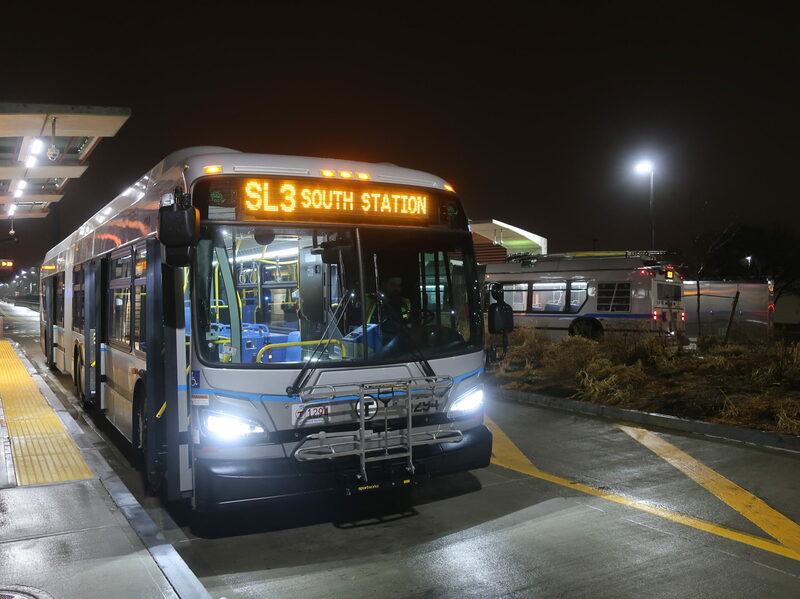 Last night was the inaugural run of battery-electric buses on the SL3 – unlike the current dual-mode buses, which have to change from electric wire to diesel power at Silver Line Way, these new vehicles can change to electric mode on the fly, meaning no more wait times at Silver Line Way! 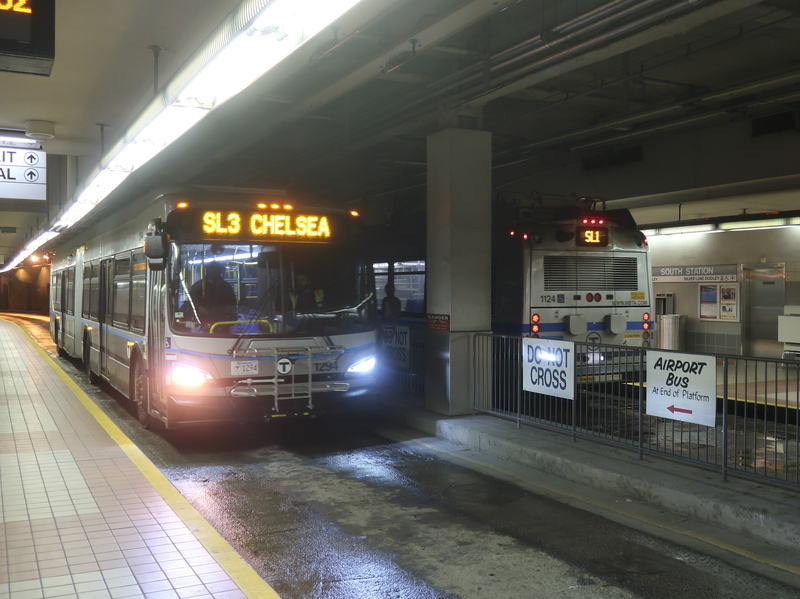 The bus also ran in electric mode on the Chelsea busway, which is better for emissions, although unfortunately it’s locked to 20 miles an hour in that mode for the time being. I look forward to seeing these roll out in the future! No wires on this bus! I love the big bold headsign. The inside is identical to the MBTA’s other articulated buses, which is certainly not a bad thing. It’s great to hear the Silver Line announcements on the crisp speakers. And here we are at Chelsea! Going through Silver Line way without stopping was so incredibly satisfying – it was like getting revenge on fourteen years of the trolley poles not transitioning properly. HOW DO YOU ALWAYS CATCH THE NEW VEHICLES? I bet he waits around for hours. So they only are able to charge at the Newmarket depot, huh? It actually recharges while it’s in diesel mode!